“You are STRONG, you are SMART and your can do ANYTHING! 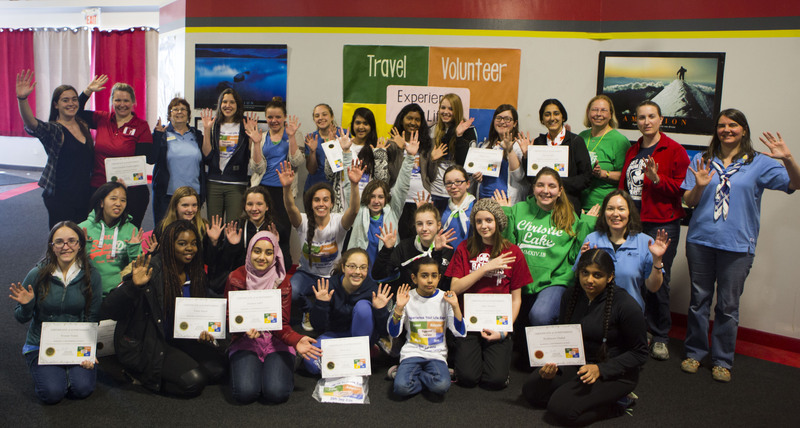 You have the power to change the world!” These simple yet profound words were on the certificate of achievement that Girls Guide of Canada participants received from the Experience Your Life team at the end of the event. Here is a video! The objective of Making a Difference event at Experience Your Life office was to empower people with the ability to dream and the drive to execute. The event was a HUGE success and we have received tremendous feedback and support. We had roughly 40 people participate in this amazing event that brought together positive energy, amazing role models, fun exercises and ultimately an impact on young minds. A big thanks to Great Canadian Female Anglers and Girl Guides of Canada for joining hands with Experience Your Life to make a difference. We also want to recognize our incredible speakers (Israa Nasir, Nicole Skaf & Sophie Crête) who inspired not just the younger participants but all of us in the room. What an incredible and real set of presentation! There were many moments during these incredible 5 hours that moved us but probably one of the best ones was when one of the participants explained to her parent at the time of pickup about her experience. The parent broke down and said to us “There is too much taking the world, I am glad that I was part of something that gave back”. That kind of positive energy makes our day and keeps us going. So a BIG THANK YOU to our awesome volunteers, all the participants, parents, our incredible speakers, Great Canadian Female Anglers and Girls Guide of Canada. Anything is possible when good people get together and take action for what they believe in!